We are a full-service financial services firm committed to helping people pursue their financial goals. We offer a wide range of financial products and services to individuals and business owners. We believe you will be better able to identify your goals and make informed decisions to strive to reach them by providing personalized financial information. "Leaders are visionaries with a poorly developed sense of fear and no concept of the odss against them. They make the impossible happen." Murl L. "M.L." Vincent, Jr. graduated from Sulphur High School and attended LSU. He started in the life insurance industry in 1968. M.L. has been Series 7 registered since 1970 and a Registered Representative with Transamerica Financial Advisors from 1974 to 2016. He has been an Investment Advisor Representative since 2002. M.L. is a qualifying and life member of the Million Dollar Round Table, the premier association of financial professionals. MDRT members demonstrate exceptional professional knowledge, strict ethical conduct, and outstanding client services. He has also qualified for Court of the Table and Top of the Table numerous times. M.L. was chairman of the 1995 "Big O" Club which is comprised of the top 150 agents of Transamerica Life Companies. M.L. is a business leader in his community and is passionate about his community service. He is currently serving on the Advisory Board for the local chapter of the Salvation Army. Born in Southwest Louisiana, M.L. is an avid hunter and fisherman. He and his wife, Kathy, are members of Trinity Baptist Church and have two children and four grandchildren. 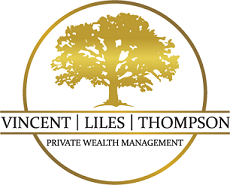 Stephen Liles, CERTIFIED FINANCIAL PLANNER ™ Professional, graduated from Louisiana State University in Business Administration in 2001 and went on to receive his Juris Doctor from Loyola School of Law in 2004. Stephen is a member of the Southwest Louisiana Bar Association and Louisiana State Bar Association. Stephen holds his Life & Health Insurance Licenses; as well as his Series 7 License through LPL FInancial and Series 66 Securities License through GWM Advisors. Born and raised in Southwest Louisiana, Stephen is very passionate about his involvement in the community. He is currently a Board Member of the Kiwanis Club of South Lake Charles and the Calcasieu Area Council Boy Scouts of America. Stephen and his wife, Jessica, live in Lake Charles with their four daughters. What is a CFP®?Certified Financial Planner Board of Standards, Inc. owns the certification marks CFP®, CERTIFIED FINANCIAL PLANNER and federally registered CFP (with flame design) in the U.S., which it awards to individuals who successfully complete initial and ongoing certification requirements. William Owen Thompson graduated from Louisiana State University in 2002 and completed his graduate work in Natural Sciences in 2004. Owen holds his Series 7 through LPL Financial and his Series 66 Securities License through GWM Advisors, as well as his Life & Health Insurance License. He is currently a candidate for the Certified Financial Planner ™ designation. Raised in Lake Charles, Owen is an avid hunter and fisherman. Having previously worked in wetland ecology and consulting, Owen is also an advocate for wetland restoration and conservation. He is active in the community, currently serving as a Board Member for the Family and Youth Counseling Center, and on the Community Advisory Board for the Jr. Leaugue of Lake Charles. Owen and his wife, Casey, live in Lake Charles with their three children, James, Millie, and Wit.